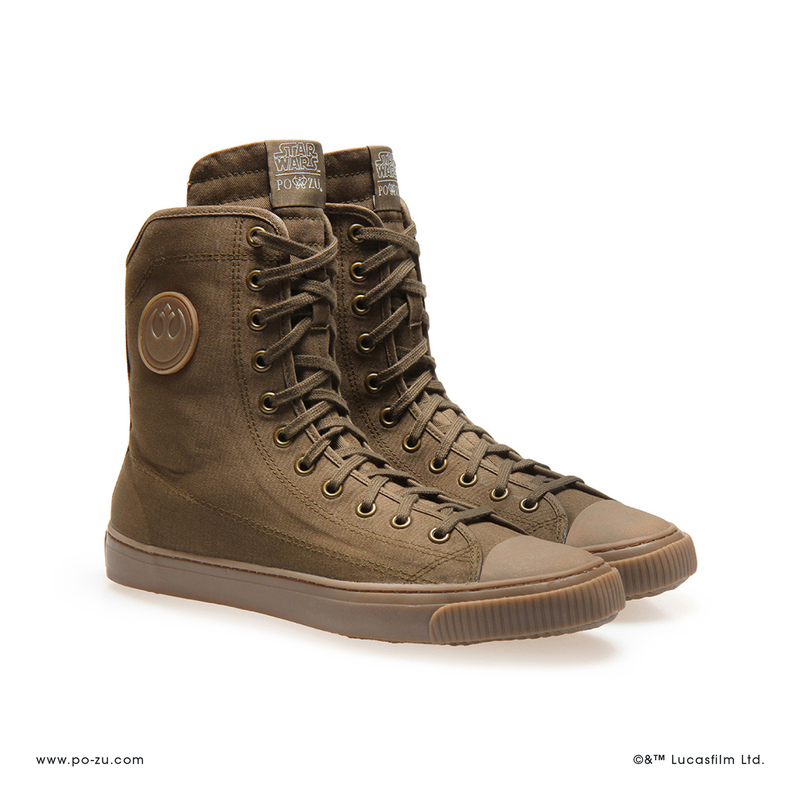 Check out the latest release from Po-Zu – meet the Star Wars Rebel Combat Sneakers! 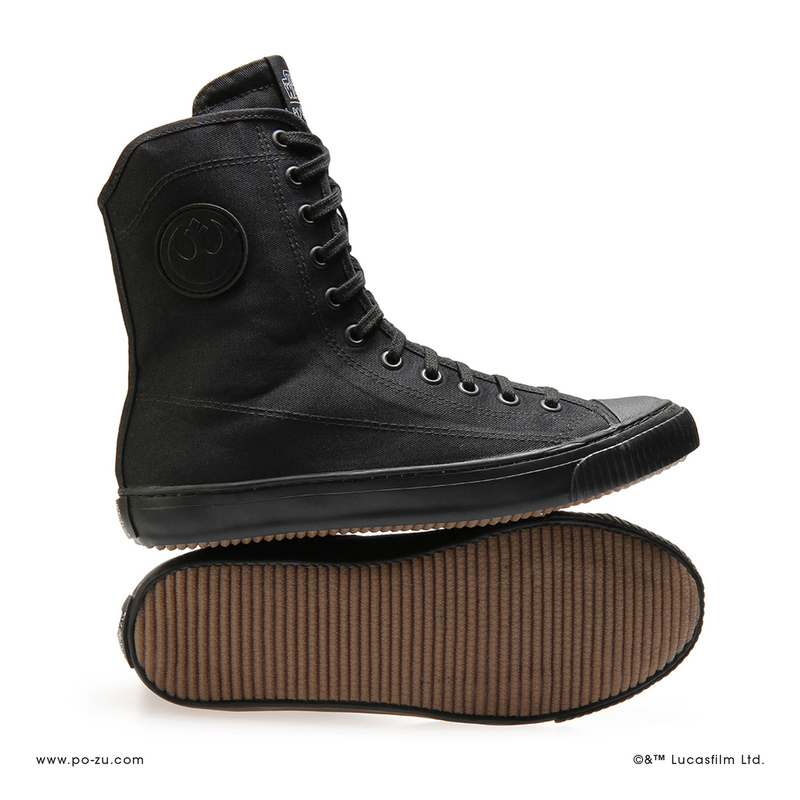 The newest addition to the Po-Zu x Star Wars footwear range is inspired by the rugged Rebel attire, with a Fair Trade rubber badge of the Rebel ‘starbird’ symbol on the side. 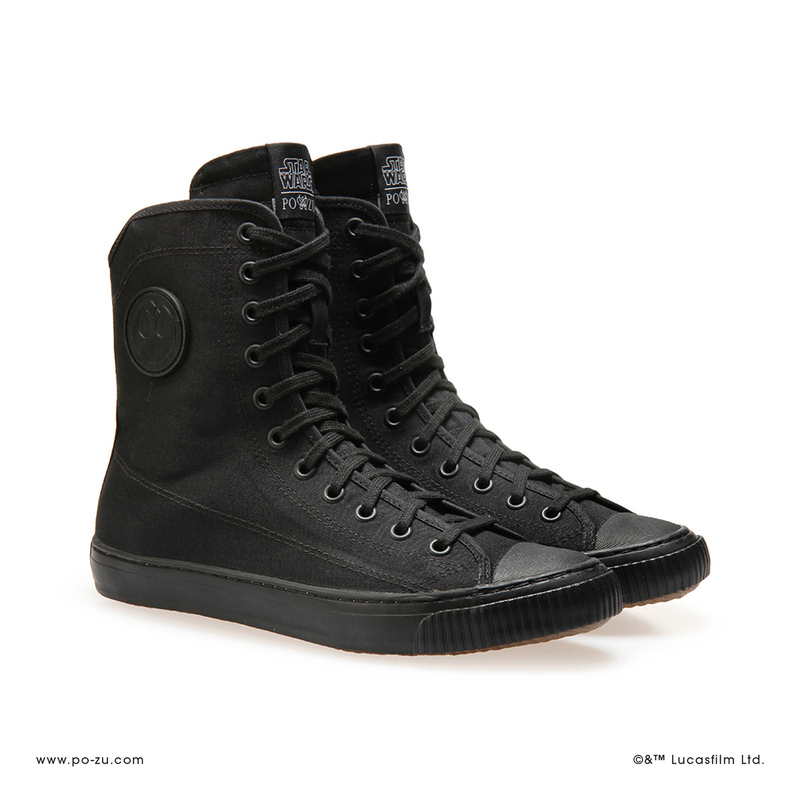 The sneakers also feature a zipper on the inner ankle for convenient adjustability, which is so useful for high-top lace-up sneakers. 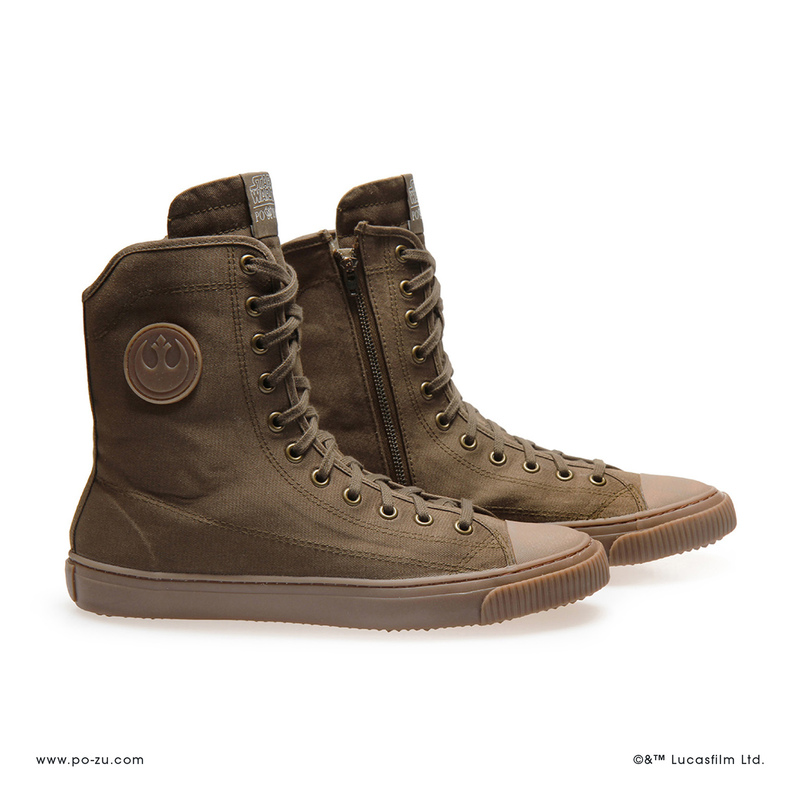 The sneakers come in two colours – khaki or black, to suit your outfit style. 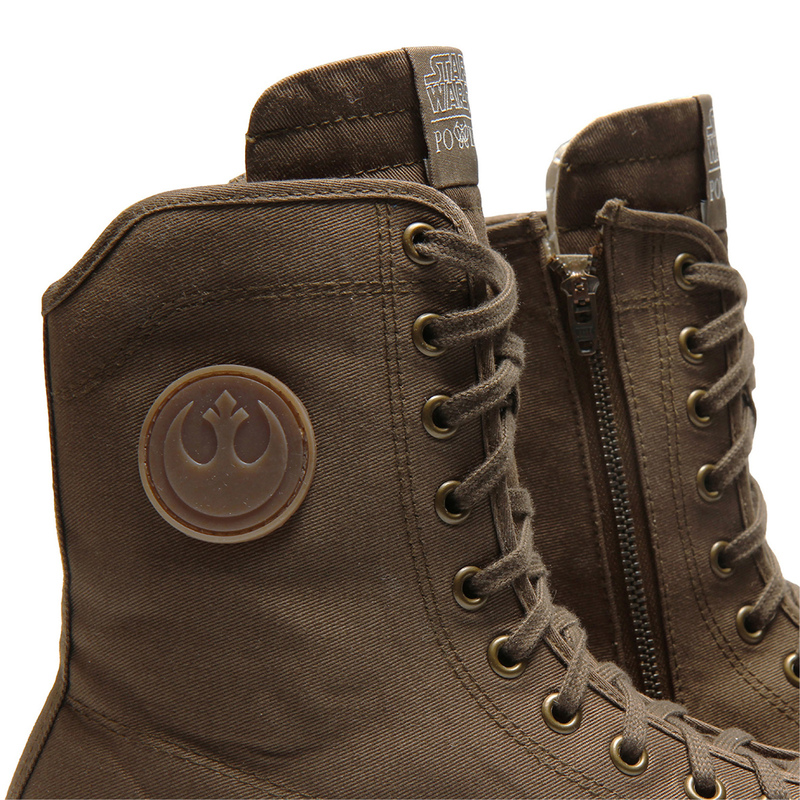 These are the perfect match for your Rebel or Resistance themed outfit. 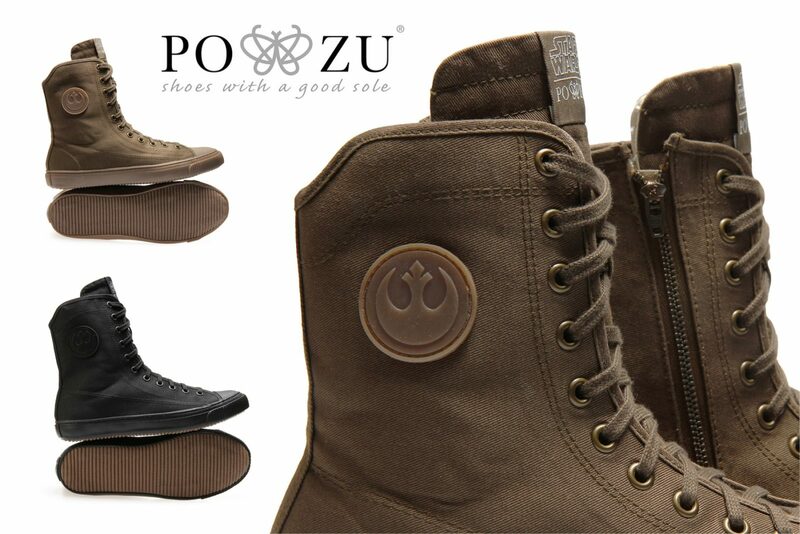 I am so happy to see Po-Zu continuing to release Star Wars footwear, their range is just amazing! 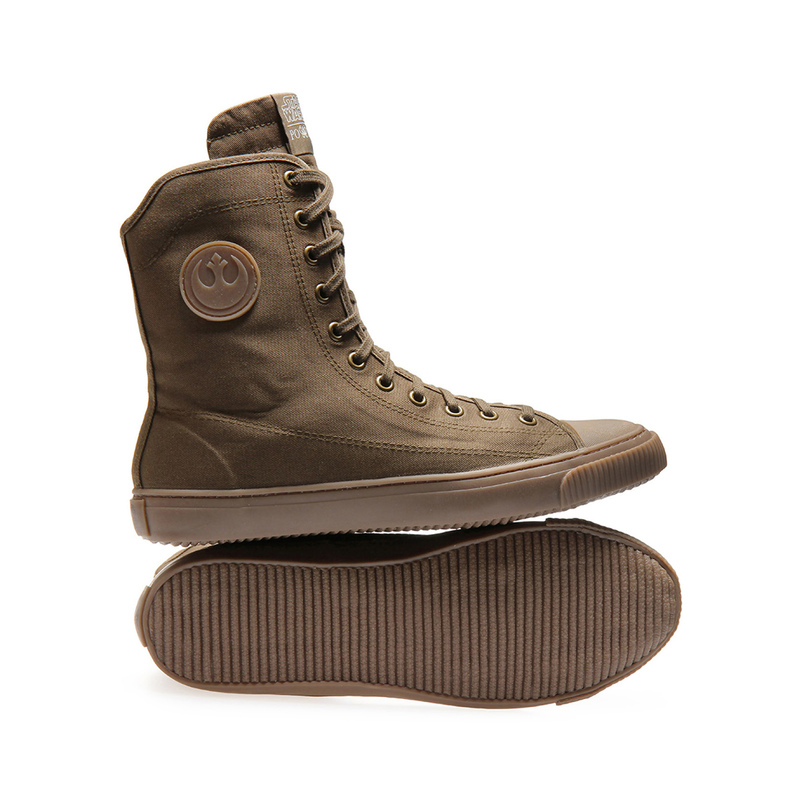 Meet the unisex REBEL COMBAT high-tops: Following in the footsteps of our screen-accurate range and sneakers inspired by iconography from the films, the new mid-cut boots have full Rebel Combat styling to get you marching through the galaxy. Available in Euro sizes 36 to 46, the sneakers are priced at £79.00 per pair (approximately US$102.57 per pair) – Po-Zu can ship internationally. Previous Post Get 35% off All Star Wars Fashion at Torrid!